There's 3 sub-levels involved in the order flow, except for Coffee which takes two additional (type of milk and sweetness). By creating this, I was able to decide on micro interactions such as reducing the choices to Yes or No answers whenever a refined choice is needed. For instance, Water with or without ice. This allows for an overall consistent UI flow. 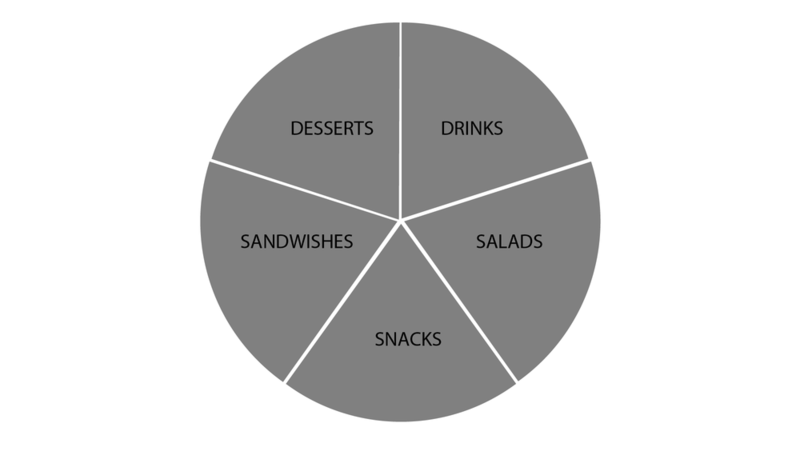 The overall circle layout is the a tentative proposal towards cyclic rituals behind meals.